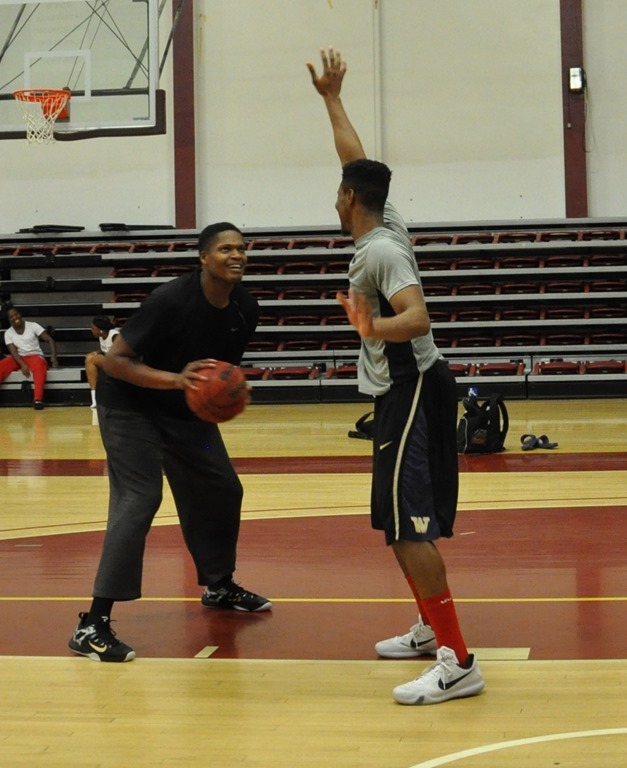 When Kashiff Williams walked into the AVC Gym for the first time, all heads turned. At 6’5”, 270 he was a big man who looked part of a offense lineman. Great power, quick feet and a man determined to succeed. However, “Chief” was not there for football but to join the basketball team! Kashiff graduated from Fairmont Preparatory Academy, Anaheim, CA in 2010 where he averaged 22.1 ppg and 15.0 rpg in his senior year. 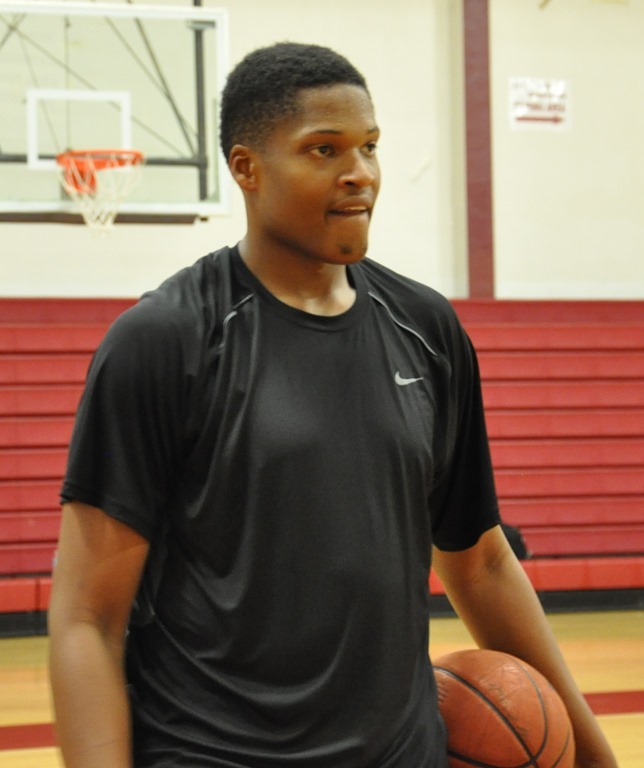 He had interest from a number of universities and had D-1 offer to Moorehead State University. He didn’t get his SAT score in on a timely basis and lost his scholarship. Instead he enrolled late in 2011-12 at Santa Ana Community College. He red-shirted that year. In 2012-13 he was the leading scorer for the Santa Ana team with multiple 20 point games and had up to 20 rebounds per game. After this season family issues intervened on Kashiff’s dream of playing college basketball and getting a degree. He left college at the end of the year and he worked two years to solve his families problems. According to Williams, family problems have been solved and he chose Antelope Valley College to restart his basketball and academic career. Chief said playing at AVC was something he always wanted but never expected to happen. He watched AVC for a number of years in summer shootouts and saw how many talented big men and D-1 point guards they had on their team. He ran into an AVC player who invited him to contact one of AVC coaches and the rest is history. God’s will the big man says. Bring down his weight 30 pounds. Getting back into the academic routine. So how are things going so far? Chief is half way home on weight loss and needs to lose another 15 pounds. He may be the strongest man on the team due to his success in the weight room. Fitness and endurance will build all year long. He has been sore all over since he arrived but that is getting better every day. Most importantly no injuries. He played long minutes at the Summer Shootout. Even far from his fitness goals, he was a handful for all teams where he dominated the boards and was a strong scorer. He has such strength and great basket ball moves for a man his size. He is ahead of schedule. Finally about his academics. It not easy to get back in the scholastic routine but he was found not long ago sleeping in the gym because he did not want to be late for one of his finals. Dedication. Keep an eye on this guy especially around November when the pre-season begins. If all things go as planned, Chief will be a force to handle for any team.